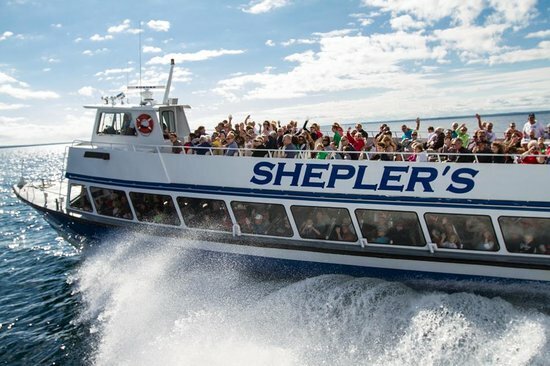 Shepler’s Mackinac Island Ferry required a web development project that was built with function in mind – providing the best possible external user experience, usable by all skill levels. Their primary objectives were to develop an intuitive online ticketing purchase system for a multifaceted ferry business, a secure e commerce system, and a web application wherein all inter-office/back off systems can be managed, up to and including the product selections on the consumer facing site. Our strategy was driven by research and understanding into the perspectives and needs of their three main user types: external direct buyers/searchers, external browsers, and internal users. Research and experience has found that the external audiences (both those who knew exactly what they wanted to buy and those who were just browsing) needed a site that was easy to navigate, with intuitive functionality which would lead to an increase in conversions. To achieve this set of goals, the online experience was redefined – navigational and page hierarchy was crafted to be beautiful while ushering users inherently to simple-to-use purchase options. Shepler’s photos were incorporated to showcase the organization, copy was refreshed to ensure a consistent voice, and navigation was simplified. Additionally, but no less important, was the internal user experience goal. With a full understanding of today’s connected consumer, we knew that this website needed to be Shepler’s best sales person, customer service rep and data source. To that end, equal attention was given to ensuring Google Analytics and Tag Manager were properly setup, and to building a robust CMS. By putting in extra effort during the build stage, we have ensured that Shepler’s receives data that creates a plethora of usable data in one system – making it easier to make day-of changes to tickets or boat capacity, ability to push specific items (cruises, etc. ), and the ability to use real customer behaviors to inform long-lens marketing efforts and business operations.